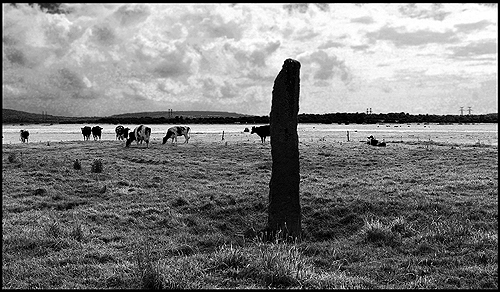 There are at least two Menhirs situated in this part of the marsh but the only named stone on the map is the Pierre Butée. As I have found another unmarked Menhir I have referenced them Pierre Butée1 and Pierre Butée 2 on this page. 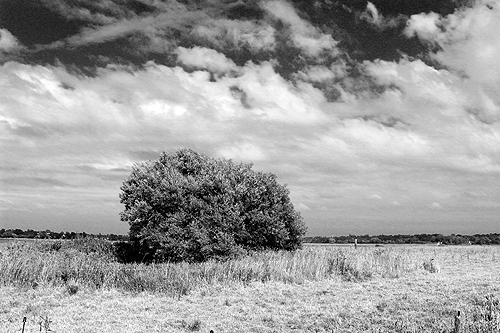 Both Megaliths are placed on the edge of the marshland of the Carentan Maurais. 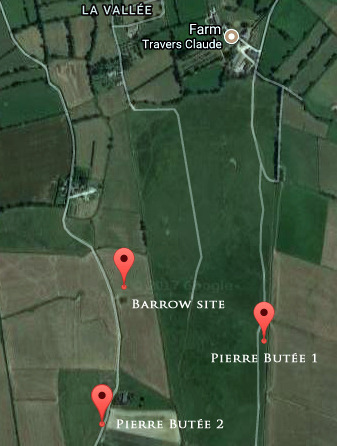 On a western alignment to Pierre Butée 1 is a possible barrow or burial site. If this is correct then it might suggest a community involved with the placing of these stones would have lived in the area. 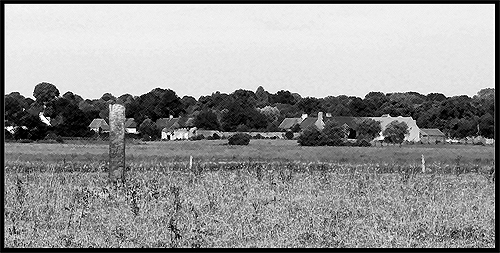 The outskirts of the marsh still has many farms and it is probably no coincidence the stones are placed on the edges. 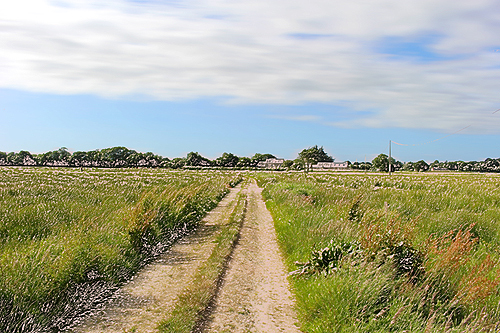 It is possible that they mark a path through the marshes but this is difficult to prove with only 2 identified menhirs that have a NE / SW alignment that mark the edge of the flat lands. 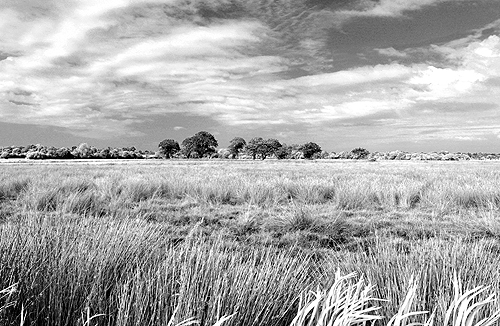 Originally formed by a glacial valley that is connected to the sea on the east coast of the Manche, the Carentan marsh is fed by the Douve river. It is the combination of the sea and river that causes the rich peat bog which is now known for grazing sheep and cattle. The literal translation of Pierre Butée: "butaye(r)" is a large protruding stone. 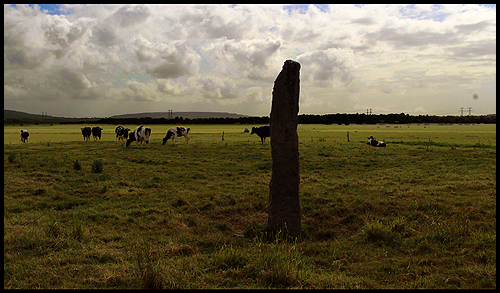 A sense of the obstinate suggested by this translation renders well to me because the standing stones were erected on a marsh. 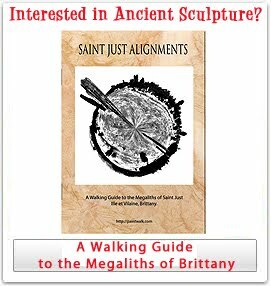 Interested in megaliths? Other pages from this site.